Cosmopolitanism and Its Discontents seeks to address the kinds of challenges that cosmopolitan perspectives and practices face in a world organized increasingly in relation to a proliferating series of global absolutisms – religious, political, social, and economic. 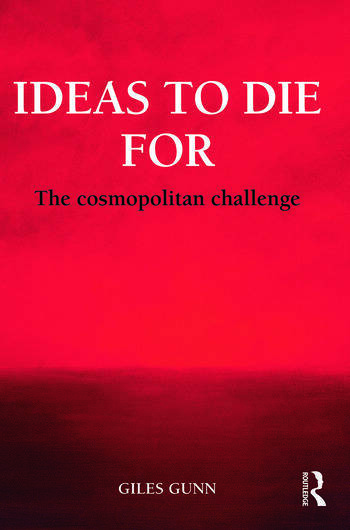 While these challenges are often used to support the claim that cosmopolitanism is impotent to resist such totalizing ideologies because it is either a Western conceit or a globalist fiction, Gunn argues that cosmopolitanism is neither. Situating his discussion in an emphatically global context, Gunn shows how cosmopolitanism has been effective in resisting such essentialisms and authoritarianisms precisely because it is more pragmatic than prescriptive, more self-critical than self-interested and finds several of its foremost recent expressions in the work of an Indian philosopher, a Palestinian writer, and South African story-tellers. This kind of cosmopolitanism offers a genuine ethical alternative to the politics of dogmatism and extremism because it is grounded on a new delineation of the human and opens toward a new, indeed, an "other," humanism. Giles Gunn is Professor of Global & International Studies and of English at the University of California, Santa Barbara, writes on the cultural and ethical study of globalization and is author or editor, most recently, of Beyond Solidarity and America and the Misshaping of a New World Order.